A special feature of the fastening system W 21 T is the inclined plate which can be used optionally in order to allow an inclination of the rail in switches and crossings on non-inclined concrete bearers. 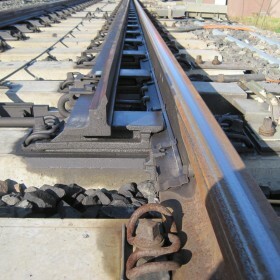 With this, Vossloh offers a low-cost and simple solution to the customers. Currently, approx. 350,000 fastening points of W 21 T are being used all over the world.